Hey guys! Happy Sunday! Sunday is OPEN HOUSE DAY for sellers and it can be stressful. 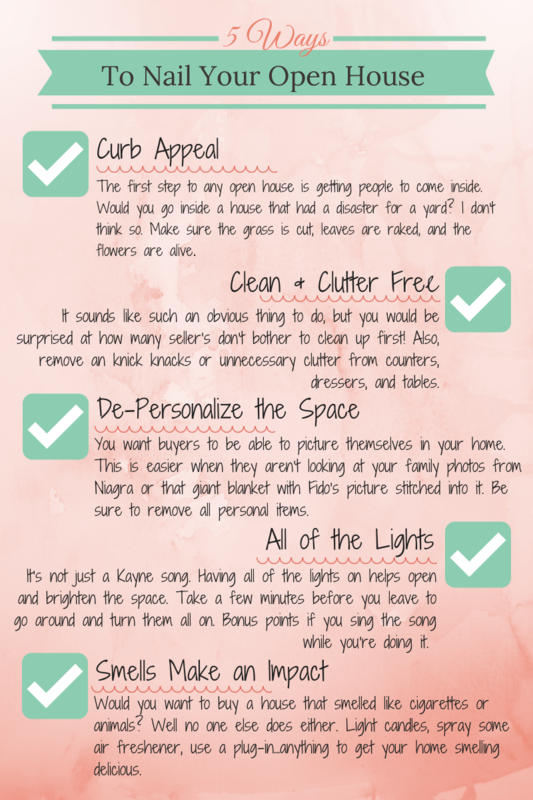 Check out our 5 easy tips to making sure you get the most out of your open house day!